We have an overwhelming selection of Premium Scarborough Renaissance Festival Costumes like this Athos Costume from ‘The Musketeers’ BBC TV Series. 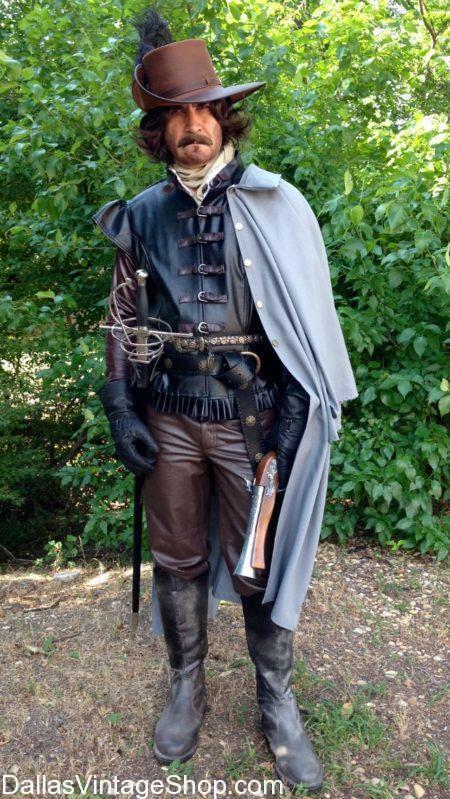 This Athos SRF Outfit is just one of the Musketeers Outfits we can put together for you. Every item you see here is in stock, always, and we are open all year round. You will find Renaissance Period Garb & Costumes for Royalty, Merchant Class, Peasants, Historical Characters, Movie and Theatrical Productions and for Fantasy costume creations for Scarborough Renaissance Festival, Texas Renaissance Festival and for any Medieval, Scottish, Irish, Celtic or Old West Festival you will ever want to attend. Get Supreme Ren Fest Complete Outfits or just the pieces you need. Get economy costumes or accessories and kids costumes too. We have everything you need for Scarborough Renaissance Festival or Theatrical Renaissance Period Attire.